Even princesses sometimes want to work. So our favorite Ariel, Barbie, Elsa and Rapunzel decided to do something interesting and make a career. Each of the girls chose their own direction. Barbie will work in fashion, Elsa will be a model, Ariel wants to travel and run her blog, and Rapunzel will be a journalist. I think the princesses made a good choice and they will succeed. But for the start they need to be well prepared. 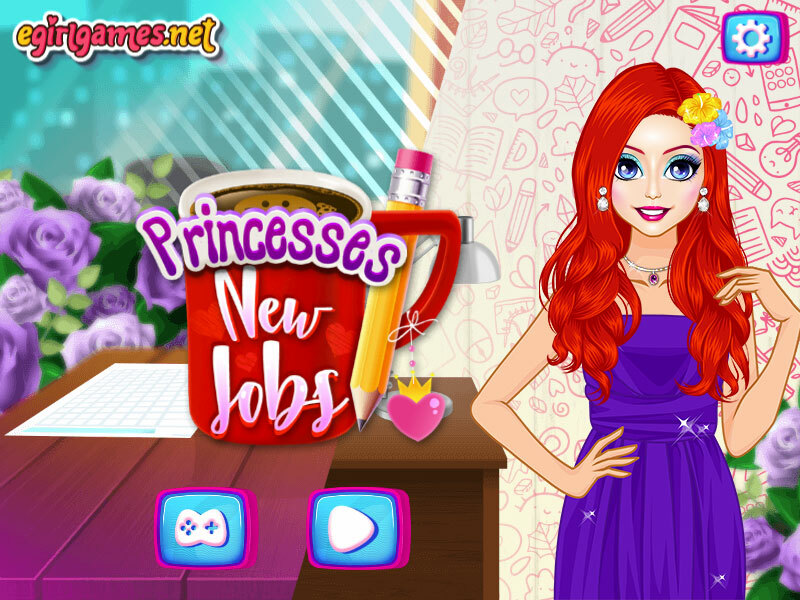 In the Princesses new jobs dress up game, we will be able to help the princesses create a great first impression of themselves. To do this, you can pick up each of the princesses attire, which will add confidence to them on their first working day. Played: 2700. Added: 12-11-2018, 11:19.